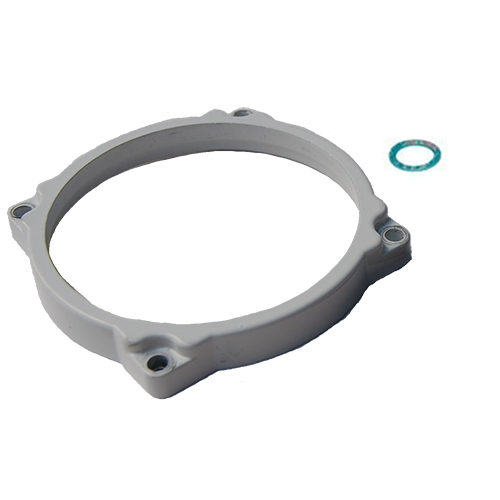 The Racor RK15035 is a Bowl Ring Kit for the 903MA, 900MA, 100MA or 1003MA series Turbine Assembly. This kit comes with the following pieces: 1 White Bowl Ring and 1 bowl drain replacement gasket. The Racor RK11037A is a Bowl Ring Kit for the 900MA, 903MA, 1000MA or 1003MA series Turbine Assembly. This kit comes with the following pieces: 1 White Bowl Ring and 1 bowl drain replacement gasket. The salt water and light to moderate exposure of fuel can take a toll on a turbine assembly. On the occasion, a bowl needs to be replaced so you can see clearly and determine when you need to drain water or other contaminants if you don’t have a water sensor. The same applies to the bracket or flange that secures the bowl to the turbine assembly. Even though Racor produces top quality goods, marine and industrial use and exposure will always test engine parts.